^Im sure that’s sadly true. She’s just a little too new to be throwing her weight around to anybody. Ever. Complaining rights takes years. It was the same for Queen Alexandra. Her sil was a russian archduchess who alo was a total snob. Then she ended up having a bad relation eith her husband and wanted to go back to Russia... yes history repeats itself many times. The Russian archduchess was Marie Alexandovna - only surviving daughter of Alexander II. Interestingly she had two Danish sisters-in-law as her brother, Alexander, married Alexandra's sister, Dagmar so she would have had to curtsey to two Danish Princesses in time - one as Queen of the UK and the other as Empress of Russia while she remained a mere Archduchess of Russia and Duchess of Edinburgh and Duchess of Saxe-Coburg-Gotha. She did demand precedence over Alexandra and Queen Victoria - rightly - put her in her place. She was then very happy when her husband inherited Saxe-Coburg-Gotha so she wasn't around her sister-in-law all that much. Of course, in time, Queen Victoria's eldest daughter automatically took precedence over Marie as well - when she become Empress of Germany. I am sorry if this is too far 'off topic'. Sisters-in-law don't have to get along. What is sad is when as a result of the marriages the siblings themselves fall out. Whether that is the case with William and Harry we will probably never really know and where the issue really is - IF there actually is an issue at all or just two 'boys' becoming men and setting up their own homes for the future meaning they aren't in each others pockets anymore. William and Harry will mend their relationship one Meggles is booted out. I don't believe they are having a rift. I don't take DM as gospel, they want click bait. And Will and/or Harry do not want to give them more attention and keep quiet and don't react to it. I see no reason why Meghan should be "booted out." I say give her time to learn. It would make the RF look like a bunch of vengeful twits IMO if they decide to "return" Meghan like she's a commodity. ^ The Wheels Are In Motion, Sandy. Make yourself a strong cuppa tea with a splash of whiskey and brace yourself for the inevitable!! I disagree. I remember how so many were positive: 1) Harry stopped seeing her when they were dating--it was over: 2) there was a "secret" weapon to stop the wedding. These did not happen. They would all look like darn fools if they "expelled" Meghan after a few months of marriage. IMO anway. All we need is the popcorn and to watch the ride. I don't think it will happen. I also think she should be given a chance. The ones who want her out on the threads never liked her in the first place and she can do nothing right in their eyes. Sandy, I think you're right in that area. Meg is working, doing more than Kate did the first year of her marriage, and I daresay she's proving to be a team player. As for Kate, I think Kate should be ashamed that she has higher rank, but isn't pulling her weight as she should. Meg at the least is making something of her role (however asinine) and she has been forced to adjust to an entirely different way of life. I also suspect that there has been a lot of condescension towards her as well. Marie was a Russian GRAND Duchess, not an Archduchess (Austrian title, not a Russian one). That WAS out of line and I do believe Marie definitely deserved to be put in her place. I do believe that Marie was out of line in thinking that she should have precedence over the Princess of Wales who was the future Queen Consort. Marie (like a lot of her relatives) had too far grand of a view of herself and deserved to be reminded that in Britain, she was not as far ahead in the succession as her ego would have her think. I do think that some kind of setup should be created and reinforced; usually, royals would marry foreigners and just move on in life, but this recent development is unusual in that royals are marrying commoners and staying in their native country, but still demanding to live a grand lifestyle and sometimes the commoners come with grand tastes of their own and it is creating a huge burden on the taxpayers and creating a huge amount of resentment. Chicken Legs is not working. She's looking for her camera time. She shows up looking dirty, messy, unkempt, in ill-fitting clothing and an ungroomed wig, with her false eyelash glue visible in globs on her eyelids, walking in front of her royal husband, turning her back on the Queen, etc. Kate went on tour her first year, as well. So, equal number of work for them both. 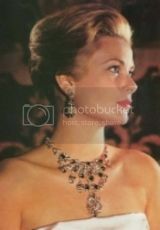 She also appeared at other royal functions and always appeared well groomed and as if she had bathed that morning. She was never asked to leave a function by Prince Charles. She knew her place according to protocol. Etc. I love that the Queen has sidelined Chicken Legs and deprived her of camera time. I have seen all royals gawking at cameras. I agree she can do better with her dress and hair. More tailored outfits and a good trim of her hair. Meghan is doing appearances. People legs is out there on appearances and not sailing on excuses. Kate disappeared after the tours the first year. I remember comments about how she was "researching" her charities first then all the excuses about why she worked were put out there. She was a big disappointment to me. Even though she promised to work hard. The Queen did not sideline People LEgs Meghan and never said so. It would be announced. The Queen would be a darn fool to prevent royals from working IMO. I think she knows better than that. If she’s working so darn hard, where is she? It’ll be pregnancy then time with baby/getting new house ready then vacation time. It’s the same old crap over again. I’ve already laughed at the BRF standard line “keen to work”. ^ She sprained her ankle when she hit the ground running, Yooper! Well, there's the Christmas Walk to look forward to! That should be good for some giggles!! IMO she still did better than Kate who hid out after the tour doing "research." I think she did show up at some art gallery the Fall after her wedding. But she was off sailing on excuses. ^Kate was a lot younger and never, ever, ever sold herself as a mover and shaker, ready to take the job by the reins and dazzle everybody to blindness by her amazingness. With Kate, we got exactly what she sold herself as. ^ And Meggles is closer to 40 -- if not already 40. I'm not sure Kate actually ever said she was going to work hard. I think it was more "support her husband". In any event, Kate is quite well received these days. Meggles, on the other hand, was going to be a superstar and shake up the monarchy and hit the ground running and be the best royal evah!!! SHe's 37. Kate looks old for her age. Oh I forgot about that! That will be a fun watch!